PowerCLI 5.5 R2, they do listen to you ! About a week ago I was so fortunate to being able to visit the Team behind PowerCLI. I did already meet some of the PowerCLI Dev Team members on previous occasions, but this time I was able to see the complete team on their own turf. Sometimes you immediately feel the chemistry that is present in a Team. And you know, even before you see what they produce, that great products will come out. This Team was for me a typical example of that. Add on top of that, a dedicated and enthusiastic Product Manager, and voila, magic is in the air. 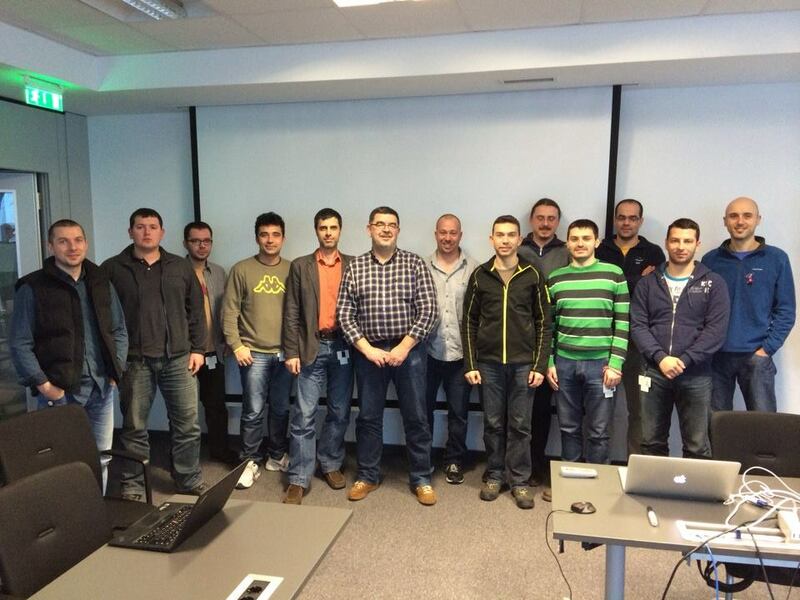 PowerCLI might be a free product, but you wouldn’t be able to tell that from seeing how this Team, located in Sofia Bulgaria, is dedicated to bringing a new build to you on a tight schedule. And although PowerCLI might look like a simple products from the surface, you would be amazed at seeing the brainstorming, prototyping and reviewing that hides behind each new PowerCLI build this Team rolls out. And they did it again with the PowerCLI 5.5 R2 build.